The website Le Parisien recently published an article about parking reform in France, and how it has changed motorists’ habits. Following the introduction of the new parking system at the start of the year, drivers have had to adjust. And parking has become easier in the capital. The result is the parking has become easier in the capital. 2.6 million penalty charge notices were issued since 1 January, that is to say 260,000 notices per month on average. The idea is to reduce parking fee dodging. The increased value of the charge has been accompanied by yet another revolution in the streets of Paris. Enforcement is now privatised and the two contractors, Streeteo and Moovia, use vehicles with number plate scanners … for high-speed enforcement. While thousands of fraudulent operations were reported earlier on in the year, things now seem to have settled down. The appeals rate is stable: 3%, almost identical to that in past years when meter parking was enforced by law enforcement. As for motorists, they seem to have made a few adjustments to avoid the heavy penalty. Fee dodging is becoming rarer. Not so long ago, many motorists preferred to take the risk of paying a €17 fine rather than pay their parking fees. According to city authorities, close to 90% of visiting drivers did not pay for parking. Today, with penalties up to €50 and tighter enforcement, fewer drivers are ready to take the risk of not paying the parking charge. According to city authorities, the immediate parking compliance rate of visitors has risen from below 9% in 2017 to 20%. 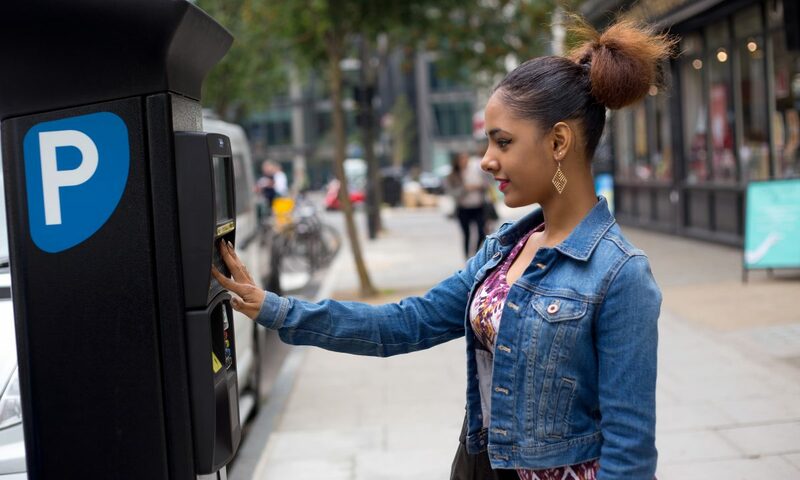 While it makes drivers think twice about attempting to evade parking fees, the change brought in on 1 January 2018 also offers them a benefit: close to 12% of the 141,000 spaces available above ground now remain vacant. Desperate searches for a free space are a thing of the past. In some districts, it has become much easier to park one’s car. One of the privileges available to Parisians is that they can benefit from a resident tariff (€1.5 per day or €9 per week) when their car is parked in their area of residence. With the changed parking rules, many of them seem to have asked for residents’ cards (€45 for one year, €90 for three years). While an average of 5,984 cards were issued every month last year, that figure is now 7,830, or 30.8% higher. But residents are not the only ones concerned. Some professionals can also apply for a card, and an increasing number are doing so. “The increase in the numbers of cards issued is due to the creation of new professional cards for carers, in particular, and an increase in the number of business cards (for merchants and tradesmen), and also a growth in the number of applications for low-emission vehicles,” city authorities report. €300 million as revenue was the target when the new measures were brought in (three times the revenue in 2017). But with 12% of vacant spaces, is that target within reach? For now, the municipality has not published any figures. It will review the situation at the end of the year.